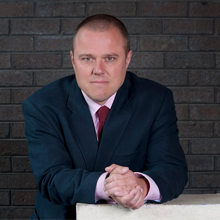 David Bryan MBA works with senior managers and boards in the public, voluntary sector and arts sector, as a coach, facilitator, trainer or adviser. His work experience includes: arts and cultural industries, academia, voluntary and public sector, grant making and management consultancy. He has worked with a diverse range of people from government ministers to front line staff. David’s commitment to equality has been long standing and varied from the strategic to the operational. His involvement with the voluntary sector is due to a belief in active citizens playing a central role in their own lives. David has produced highly regarded nationally delivered training programmes for Arts Council England and Audit Commission staff, and customised programmes for a wide spectrum of organisations. He also delivered training for the Equality and Human Rights Commission (EHRC) during the early stages of the merger with the other equality commissions. David was appointed as a member of the National Council to the Arts Council in 2013 and has worked with many organisations including NCVO, Office for Public Management and a variety of Higher Education institutions. Keri Facer is Professor of Educational and Social Futures at the University of Bristol, UK. Her work is concerned with understanding the future role of universities and schools in the context of environmental, economic and technological disruptions. Since 2012 she has been Leadership Fellow for the UK Research Council’s ‘Connected Communities’ Programme, a unique £20m + experiment in bringing together academics and civil society groups to share expertise and knowledge in areas ranging from health and wellbeing to sustainability and cultural heritage. This programme comprises over 300 projects across the UK and is a global flagship for critical and reflexive collaborative research activity. In recent years, her focus has shifted away from technologies toward a particular concern with the ways we imagine the future, and the alternative futures that might be envisaged and used as a resource for creativity and social change. In this area she has been working with UNESCO and the Worldwide Universities Network to encourage the exploration of the role of universities as a social resource for anticipatory practices in conditions of uncertainty. Charles Forsdick is James Barrow Professor of French at the University of Liverpool and Arts and Humanities Research Council Theme Leadership Fellow for ‘Translating Cultures’. He has published on travel writing, colonial history, postcolonial literature and the cultures of slavery. He is also an internationally recognized specialist on Haiti and the Haitian Revolution. His publications include Victor Segalen and the Aesthetics of Diversity(Oxford University Press, 2000) and Travel in Twentieth-Century French and Francophone Cultures (Oxford University Press, 2005). Recent roles include Co-Director of the Centre for the Study of International Slavery (2010–2013) and President of the Society for French Studies (2012–2014). Omar Khan is Runnymede’s Director. Prior to this he was Runnymede’s Head of Policy and led the financial inclusion programme. He sits on the Department for Work and Pensions’ Ethnic Minority Employment Stakeholder Group, is a Governor at the University of East London and a 2012 Clore Social Leadership Fellow. member of the 2014 REF assessment, the 2011 Census, and the UK representative (2009-2013) on the European Commission’s Socio-economic network of experts. 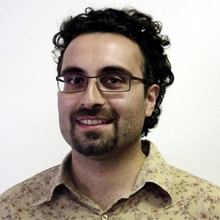 Omar has also published many articles and reports on political theory and British political history for Runnymede over the past eight years and has spoken on topics including multiculturalism, integration, socio-economic disadvantage, and positive action. Karen Salt is an Assistant Professor (with tenure) at the University of Nottingham where she co-directs of the Centre for Research in Race and Rights and also proudly leads Europe’s first-ever Black studies PhD programme. Years of considering the impact of racial and political discourses in the Atlantic world has led to a broader interest in the ways global minority communities marshal their collective power and participate in local, national and international governance structures. Within the last few years, Dr Salt has begun exploring the role of trust within marginalized communities in the UK and participating in and co-leading a number of cross-sector equality and diversity initiatives. A sought-after national and international speaker on race and rights, she is an active grant reviewer and sits as a member on various peer review colleges for RCUK. Her external engagement extends to government departments (such as the Home Office), local and national agencies and charitable organisations. Her monograph, The Unfinished Revolution: Haiti, Black Sovereignty and Power in the Nineteenth-Century Atlantic World, is forthcoming from Liverpool University Press. 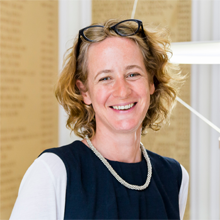 Katherine Dunleavy is the Project Coordinator for the Connected Communities Programme at the University of Bristol providing administrative support for projects and events. She is the primary coordinator for the Common Cause Project and can be contacted with queries about events, media and communications. Hannah Payne is the administrator for the AHRC Translating Cultures theme and is based at the University of Liverpool. She provides administrative support for the Common Cause Project and Charles Forsdick. Kristy Warren is a postdoctoral follow on the Common Cause project. She is assisting Dr Karen Salt to map past and present partnerships between UK university researchers engaged in arts and humanities work with and alongside Black and minority ethnic community groups’. Kristy’s research has centred on the place of ‘race’ and class in colonial governance as practiced in the British Overseas Territory of Bermuda. More broadly she is also interested in the socio-political histories of Caribbean islands that were once colonised by the British, and the lingering legacies of this past both in the Caribbean and the wider diaspora. 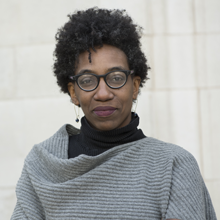 She brings extensive database experience to Common Cause; most notably, her recent position as a postdoctoral research associate on the second phase of the AHRC and ESRC funded Legacies of British Slave-ownership project. Mhemooda Malek is a Senior Research Associate at the University of Bristol for the Common Cause Research project. She is working with Professor Keri Facer and is responsible for the development and delivery of specific project components including literature search and review, interviews with collaborators and works with the team to deliver a range of other outputs such as workshops. Mhemooda has undertaken significant research, policy and development work in the field of health and social care provision for marginalised communities; a specific area of interest and focus for her previous work is the mental health of Black and minority ethnic communities. She has worked across public, voluntary and community sectors at national, regional and local levels. Mhemooda has a keen interest in the potential of the arts to support health, wellbeing, intercultural exchange and has contributed to several programmes and initiatives aimed at progressing such work in the UK and India. 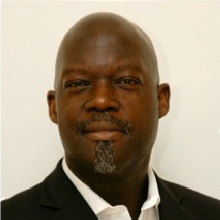 Lord Victor Adebowale CBE, Chief Executive, Turning Point. Hakim Adi, Professor of the History of Africa and the African Diaspora, University of Chichester. Pawlet Brookes, Executive Artistic Director, Serendipity. Jerri Daboo, Associate Professor of Performance, University of Exeter and co-director of the Exeter South Asia Centre. Ian Grosvenor, Professor of Urban Education History, University of Birmingham and Director of the Voices of War & Peace Centre. Olivette Otele, Reader in History, Bath Spa University. Nazli Tabatabai-Khatambakhsh, Artistic Director (CEO), Zendeh. Abid Hussain, Director – Diversity, Arts Council England.